Unfortunately we have temporarily stopped processing orders for Tramadol. By registering you will be the first to know when this service is back up and running. Please enter your email address at the bottom of this page. 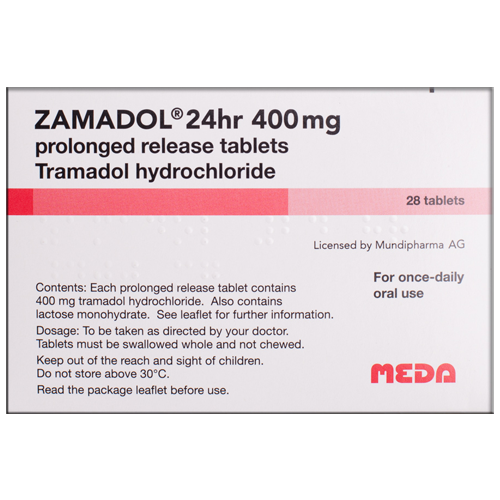 Zamadol prolonged release tablets are specially designed to release the tramadol slowly and continuously over 12 hours. This ensures steady blood levels of the medication throughout the day and facilitates more effective prolonged pain relief. The tablets must be swallowed whole to avoid damaging the prolonged-release action. Please note that because of the potentially addictive nature of tramadol please note that if you buy Zamadol online is not intended for long-term pain management. Zamadol is a prolonged release tablet used to treat moderate to severe pain. The active ingredient in Zamadol is tramadol hydrochloride, a narcotic-like painkiller classified as a centrally acting opioid analgesic. It works in the central nervous system to change the way the body feels and reacts to pain by binding to the body’s opioid receptors, which play a key role in transmitting sensations of pain and pleasure throughout the body. This blocks the transmission of pain signals from the brain to the body’s nerves, inhibiting the body’s ability to feel pain and increasing comfort level. Note Women who are pregnant or who many become pregnant should talk to their doctors before using Zamadol. It may slightly increase the risk of birth defects if used during the first two months of pregnancy and may cause harm to the fetus if used for a long time or in high doses near the expected delivery date. or perform any other kind of activity that requires alertness until you are sure you can perform such activities safely. All medications containing tramadol, including Zamadol, should not be mixed with alcohol, sedatives, tranquilizers, or narcotic medications. Note That the active ingredients in Zamadol may increase serotonin levels. It is important to consult with your doctor prior to taking Zamadol if you are already taking drugs that may increase serotonin levels. 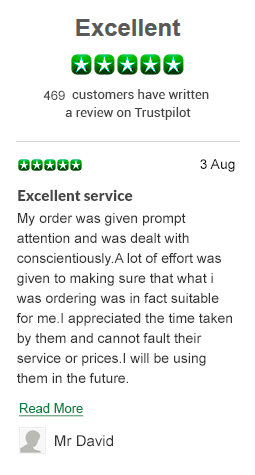 We take our customers’ safety very seriously, so all orders placed with Online Pharmacy in UK.com are reviewed by a fully qualified GMC-registered doctor. When you proceed to checkout after placing your order you will enter our online consultation facility, where you will be required to complete a medical questionnaire. This will be reviewed by one of our doctors. If you would like to buy Zamadol online we guarantee fast processing and quick shipment. Free next-day delivery is available for all EU and UK orders. We ship all orders via a trackable courier service (DPD, TNT or UPS) using discreet, plain packaging. Delivery also includes a text messaging service, which provides an estimated arrival time for your convenience.